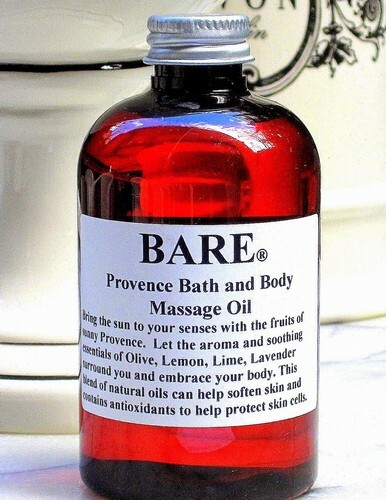 BARE "BARE IT ALL" Massage & Bath Oil - The soothing, skin drenching delight of exotic light oils await your parched skin with Apricot Kernel Oil, Sunflower Oil, Rice Bran Oil, Sweet Almond Oil & Jojoba-Golden Oil. Delight your senses with pure natural Lemon, Verbena & Orange essential oils that are soothing and relaxing. Massage into your skin and feel the ahhh. Share the love with a partner too as men seem equally enamoured of our beloved body oil scent. Leaves the body soft & moisturized while providing minerals, Vitamin A, Vitamin B, Vitamin E, Vitamin D and proteins to the skin.